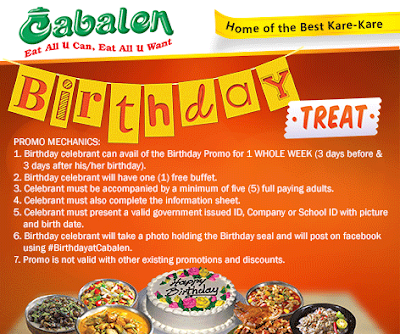 Celebrate your birthday with Cabalen's Birthday Treat! Enjoy a FREE buffet if you celebrate it with 5 of your friends and family! Birthday celebrator can avail of the FREE Buffet for 1 whole week (3 days before and 3 days after, and on the day of his/her birthday). Celebrator must be accompanied by a minimum of five (5) full-paying adults...so it's a 5+1. Celebrator must complete the information sheet and must present a government-issues ID, school or company ID with picture and birth date indicated on it. Birthday celebrator will take a photo holding the Birthday seal and will post on facebook using #BirthdayatCabalen. Promo is not valid with other existing promos and discounts. 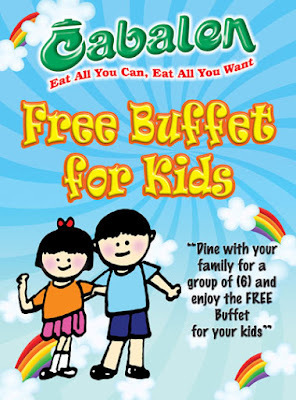 Kids also get FREE buffet if accompanied by at least 6 adults. 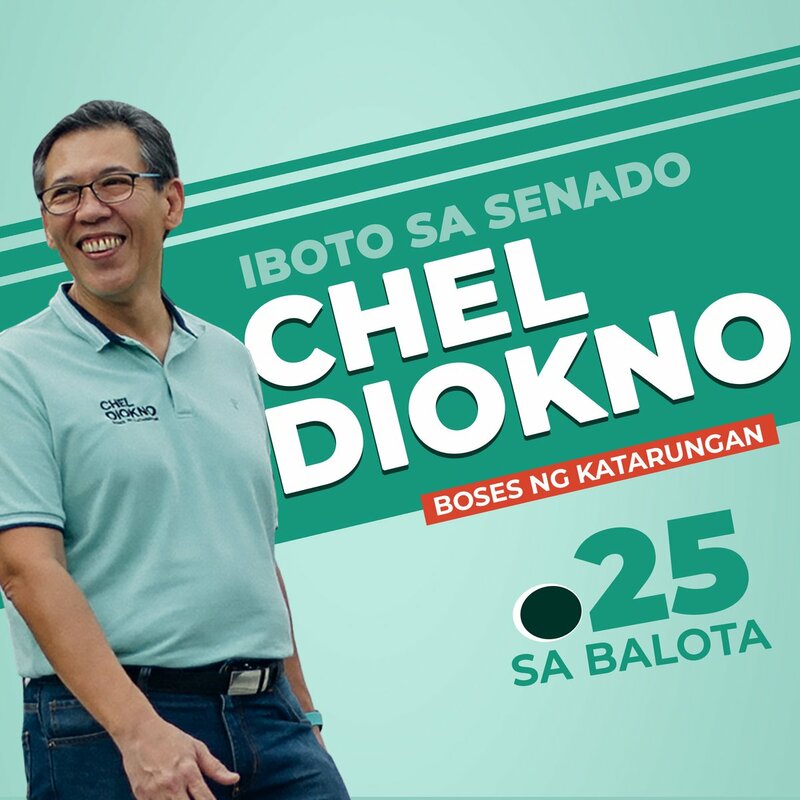 Is this promo is for all cabalen branches including MoA or not ? Is there an age exemption for kids to avail free buffet? Good day.. I will be celebrating my birthday dec 26.. If ihv 8 friend plus me were all 9 head. Am i free to avail the e promo.. If so. I will only pay for 8 "persons? Is this still valid ngayong 2018? Is there a height limit or on kids free promo? 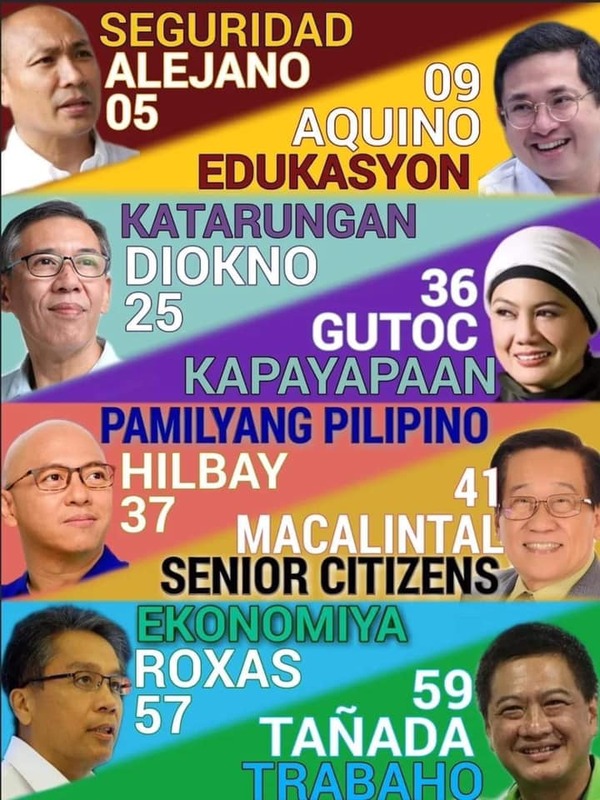 7 adult 8 kids tapos poh 5 dun ang my birthday libre poh ba yon?? How about if the bday celebrant is 1 year old? ?Meron po bng discount? Kng s mga ksama po my discount or free? Hi, my sister will be celebrating her B-Day on Oct 25, she's already a SC may mga freebies ba? At kung mga guest's nya ay SC narin can they avail the 20 percent discount?